Shame on me. 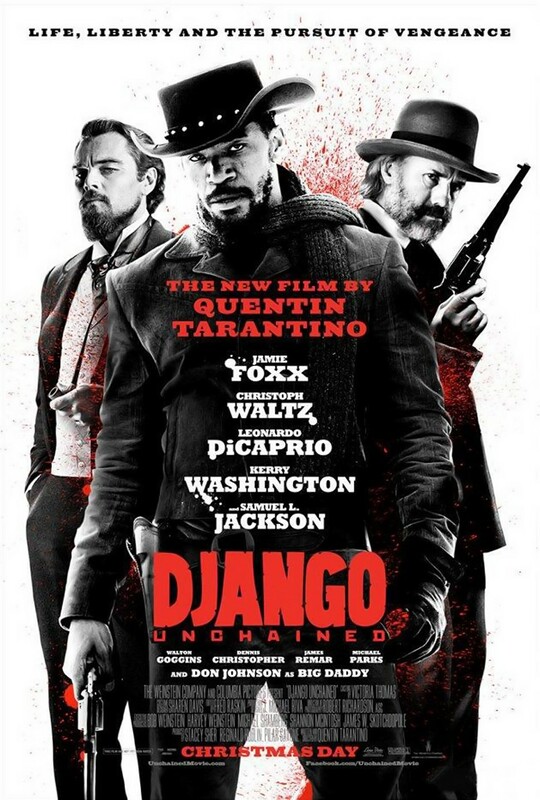 As a fan of Quentin Tarantino's trademark direction style (Reservoir Dogs), Jamie Foxx' role commitment (Ray), Leonardo DiCaprio with an edge to him (Inception), and Christoph Waltz' cool and suave, I don't know how I had possibly not seen Django Unchained yet. Luckily, that changed this weekend. Django (Foxx) is freed one day by German bounty hunter Dr. Schultz (Waltz). They team up to rescue Django's wife Broomhilda (the gorgeous Kerry Washington) from infamous Candieland proprietor Calvin Candie (DiCaprio). Thanks in no small part to Candie's cunning house servant Stephen (Samuel L. Jackson), their rescue strategy hits a snag, and the duo has to drastically alter tactics. The classic Tarantino ingredients - electric dialogues, stylized violence, fragments of humor, and off course, an explosive soundtrack - are all there, and without subverting the controversial theme of slavery, Django Unchained offers epic entertainment for the entire duration of 165 minutes. "It kills me sometimes, how people die"